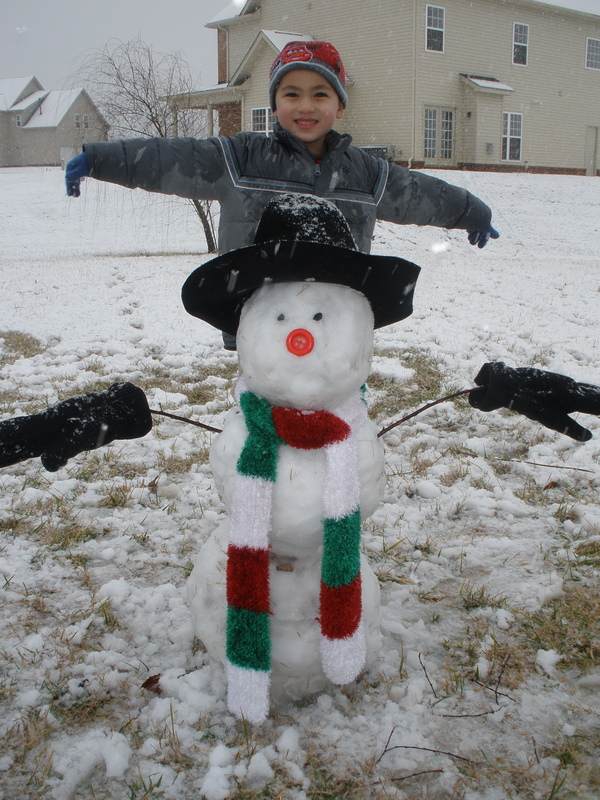 Which One is Made of Snow? 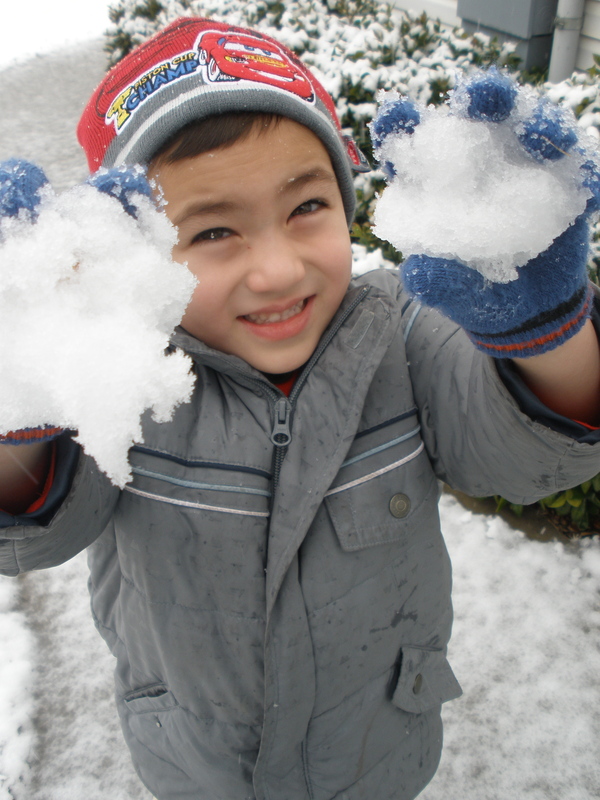 He was so excited about the snow…it was fun getting into a snowball fight with him. Bug tried to be sneaky, pretending to come up and hug me or talk to me, then surprise! He'd slam me with a tiny Bug-sized snowball!